Looking for some peaceful salvation from the loud, bustling world around you? Want to listen to your music and just your music? Need to concentrate on your work without being disturbed by the activities of others? If you answered "yes" to any of these questions, then a pair of noise-canceling headphones may be an invaluable piece of gear to add to your daily arsenal. While noise-canceling headphones are generally more expensive than a set of regular headphones, their unique ability to eliminate external noises while also delivering great sound quality are worth the premium, especially if you need the extra quiet space to be more productive or more relaxed. While most normal headphones just deliver audio to your ears, noise-canceling headphones use different technologies to block out external sounds so that you hear only what you want to hear. Most noise-canceling headphones use passive noise cancellation, also known as noise isolation, to accomplish this task. By creating a tight seal around or within your ears, these snug-fitting headphones dramatically reduce the amount of noise you hear while wearing them. Higher-end models of noise-canceling headphones utilize active noise cancellation via digital signal processing (DSP) technology to reduce ambient noise. These types of headphones possess an internal microphone that listens to the sounds around you, and then they emit their own frequency to counter the external noise. The Bose Quietcomfort 15 headphones are widely regarded as one of the best pairs of noise-canceling headphones available today, garnering high recommendations from Consumer Reports, Consumer Search, and Good Housekeeping. 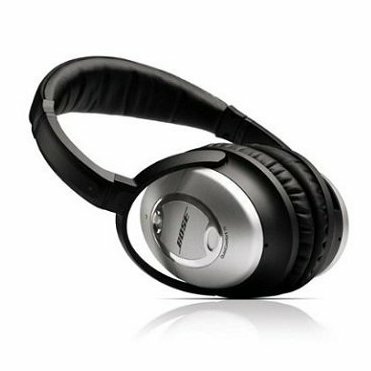 These Bose headphones utilize a closed, around-the-ear design along with both passive and active noise cancellation technologies for effective noise reduction and sound leakage prevention, all while delivering a very comfortable fit for its users. Sound quality isn't perfect, but unless you're an audiophile, you'll still get very good, clean sound. These headphones also come with a nifty carrying case that may help remedy their bulky size. The main downside to the Bose Quietcomfort 15 is its hefty price tag. But if that doesn't bother you, then you'll find these Bose headphones to be the perfect companion for when you want to listen to your music in peace. Currently $299.00 on Amazon. Another top choice from Consumer Reports, the Sony MDR-NC500D headphones are an excellent option if you're serious about owning a good pair of noise-canceling headphones. 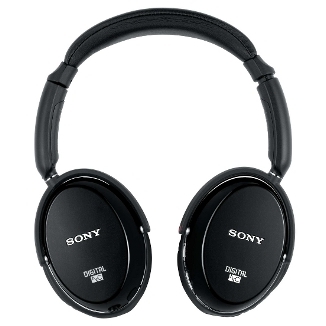 These Sony headphones have a couple of special features, such as Artificial Intelligence (AI) technology that provides three different noise-canceling options that the headphones automatically determine based on your current environment as well as a built-in monitoring function that allows you to hear important external sounds such as announcements without the need to remove the headphones. Users have reported the bass being too soft and the fit being a little too tight for their liking, but overall, the sound and build quality are still very good. While these headphones are one of the more expensive options, it does come with a slew of accessories, including a rechargeable battery, a wide variety of adapters, and a carrying case. Currently $189.34 on Amazon. If you're in the market for a pair of noise-canceling headphones in the sub-$200 range, then you'll be hard-pressed to find ones better than the Audio-Technica ATH-M50. While they don't have the active noise-canceling technology found in higher-end models, the closed-back, around-the-ear design creates a tight enough seal that does manage to keep a majority of external noises out, and the cushioned earcups allow them to be worn comfortably for extended periods at a time. Many users have praised these headphones for their incredible sound quality, with some users going as far as to claim that they even best some higher-end models in sound clarity. The Audio-Technica ATH-M50 headphones are also collapsible and very durable, making it easy to store and ideal for traveling. Currently $149.00 on Amazon. If you're always on the go and you value durability and portability over bulk, the Phiaton PS 20 NC earphones (well recommended by Good Housekeeping) are made just for you. Since these are in-ear headphones, they lack the passive noise cancellation found in around-the-ear headphones. However, these earphones do have active noise-canceling technology which filters out a majority of external noise, and the in-ear design decently limits sound leakage as well. The sound quality of these earphones is pretty good, but its bass depth wasn't as strong as other headphones. 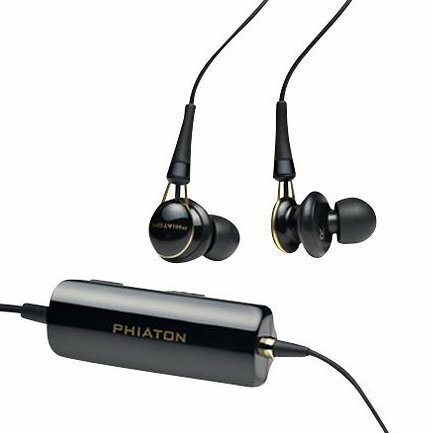 The Phiaton PS 20 NC earphones may also be uncomfortable for some due to their irregular design. However, the earphones do come with four different-sized ear tips to ensure the best fit. Currently $98.98 on Amazon. 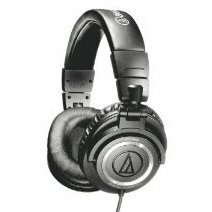 The most budget-friendly option on this list, the Audio-Technica ATH-M30 headphones deliver the most bang for your buck. 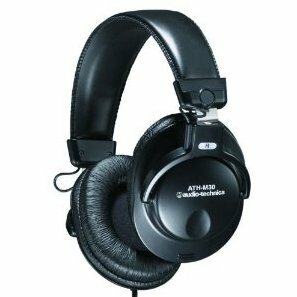 These headphones share a lot of the same features with their bigger brother, the Audio-Technica ATH-M50, such as the closed-back design and passive noise cancellation technology. There's actually not a lot of difference between the two, despite the $100 difference in price, which can actually be seen as an advantage for the ATH-M30. With a 4½ star rating on Amazon and many users reporting excellent sound quality and great durability and comfort, the Audio-Technica ATH-M30 proves that a lower price tag doesn't necessarily equal lower quality. Currently $59.00 on Amazon. And those are our recommendations for the best noise-canceling headphones. As always, be sure to check out the Wise Bread Shopping Calendar to learn when and how to buy just about anything!